As the resident Kansan in the Parkland, I fight the good fight for my Jayhawks! My family and I moved here in 2011. We were attracted by the people and beauty of the area. We enjoy getting out to the area parks, wineries and local activities. I was also extremely impressed with the service that the Regional Radio stations gave to the listening area. 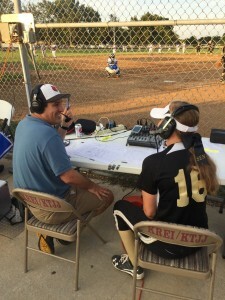 I was first attracted to KRES radio in Moberly because they did more local news @mymoinfo, sports @mymoinfosports, and community coverage than any station I had seen before. After serving as sports director there, I came to KTJJ/KREI as program director to find the same commitment to serving the local communities. I am proud to say that I am a 12 time broadcast award winner in news, sports, and community coverage. I have always felt a commitment to the community as a professional and in my personal life and have taken great joy in coaching various sports over the years, serving on boards and engaging in area events. Currently, I serve on the Park Hills/Leadington Area Chamber of Commerce and on the Farmington Library Board, and just concluded a fantastic five years as coach of the St. Joseph girls basketball teams. You can catch me weekdays with Louie on the KREI morning show, midday on J-98 with the news and Trading Post, as the on air Voice of the Mineral Area College Cardinals, and doing reports at area fairs and festivals. 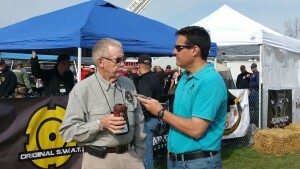 I’ve interviewed Heisman Trophy winners, gold medalists, Super Bowl winners, authors, governors, and countless others. I’ve done play by play for Division One athletics and state champions, but one of my biggest thrills since moving to the Parkland is following the Farmington boys basketball team to the final four. And calling the MAC Cardinals comeback win over rival Three Rivers…. I played four sports a year in high school in Cimarron, Kansas and had a wonderful opportunity to play a couple of years of semi-pro baseball while I was in college. I earned an undergraduate degree in communications at the University of Kansas and returned to that fine institution to earn a Masters in Broadcast Journalism. My best friend, Kelley, and I just celebrated our 22nd year of wedded bliss. I’m proud to say that our daughter Alex is also attending the University of Kansas and Bri is a sophomore at Farmington High this year. 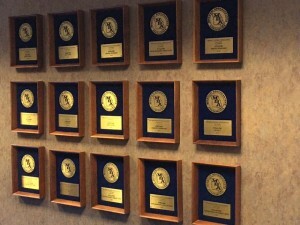 I’m very proud of the staff we have here at KREI/KTJJ and KJFF radio. We have dedicated men and women, some with decades of experience, some new to the field, some who grew up in the Parkland and others who have joined us from sea to shining sea. Their common goal is to serve our listeners to the best our ability. I will always measure our performance as a media outlet by how well we are serving the wants and needs of the listeners, from providing the news that effects you, to calling exciting play by play, to supporting area events, and responding when there is a need that needs to be met. Thanks for reading and thank you so much for listening!